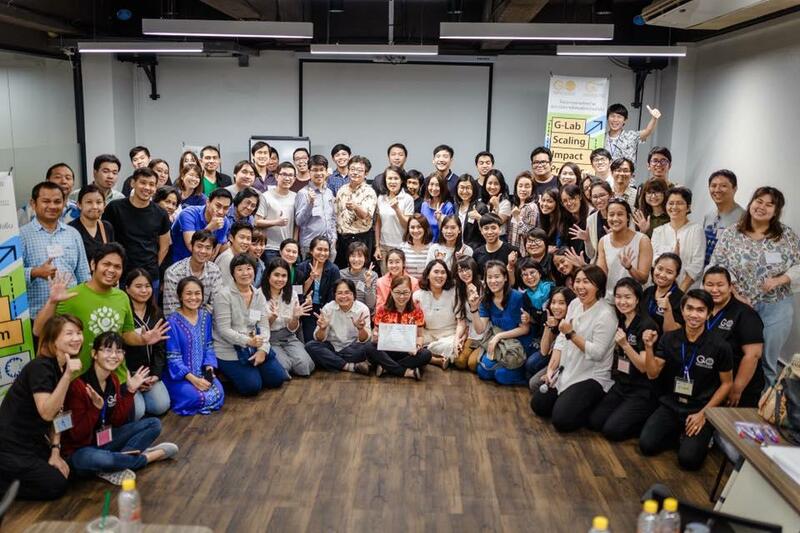 The program aims to increase the potential of 50 Thai social enterprises in terms of developing their products and services to be able to solve economic, social, and environmental problems and achieve sustainable development goals. 50 social enterprises are offered intensive 3-day workshops including team building/culture, design thinking, business model canvas, SIA/Theory of Change, and product design. After the intensive workshops are completed, the top five social enterprises with most potential will be selected and supported in order to enable them to develop their products to reach full market capacity. The support is in the form of grants, intensive workshops – project management, business strategy, marketing and PR, negotiation and decision making – along with personal coaches. The value of which is up to THB 1,500,000 in total. The G-Lab Scaling Impact Program has already started to scale up 50 social enterprises starting in March of 2018, and will be completed in August 2018. 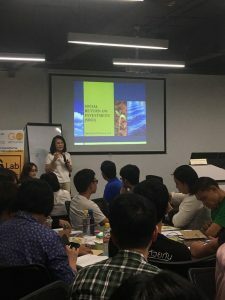 Moreover, a social enterprise market place will be set up for 50 social enterprises to present their products at the final stage of the program in August. 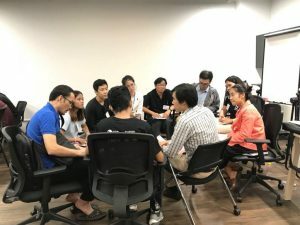 Investors from renowned companies and organizations including press agencies will be invited to participate in the event so that the social enterprisers have a chance to pitch their social enterprise ideas to investors.